WNC Institutional Tax Credit Fund 45, L.P. (WNC Corp. 45), a $150 million institutional low-income housing tax credit (LIHTC) fund that will be used to develop and renovate more than 1,950 affordable housing units in the U.S., has closed. The properties that will be funded by WNC Corp. 45 are located in: Alaska, Arkansas, Arizona, California, Iowa, Maine, Minnesota, Mississippi, New Jersey, New Mexico, Tennessee and Texas. 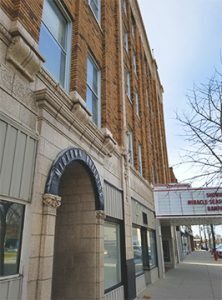 Among the 26 properties within WNC Corp. 45 is the historic renovation and rehabilitation of the Hotel Maytag in the Des Moines, Iowa suburb of Newton. Originally built in 1926 by Maytag Corporation founder Frederick Louis Maytag I, the historic property will be converted into 45 units of affordable housing. WNC Corp. 45 includes five repeat investors as well as one new investor.